Jason’s wealth of experience provides him with compelling insight and exciting stories that he shares with audiences to inspire their love for the United States of America and the cause of freedom. He has worked as a patrol officer, gang detective, narcotics detective, street crimes detective, and spent several years on SWAT as an operator and instructor. He is a certified police instructor in firearms, defensive tactics, tactical driving, and patrol rifle operations. Jason has twice been awarded the Law Enforcement Metal of Honor and was recognized as the Community Services Officer of the Year for his department. He has spent many years serving over seas in dangerous places like Afghanistan and has completed humanitarian missions around the world. 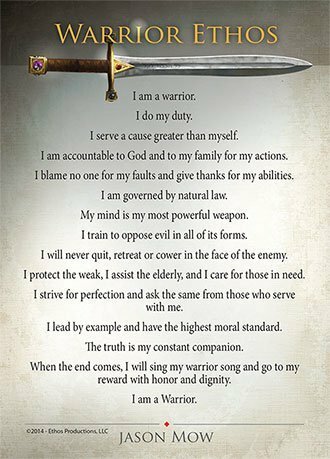 Jason presents his Warrior Ethos which consists of 15 points of truth that a soldier of moral courage lives by. His points are based on bravery, brotherly service, belief in God, and love for fellow men. His Warrior Ethos can be presented to all ages as he includes exciting stories and examples to explain each point. This presentation can be adapted to any timeframe. Jason was raised in the LDS faith and served a mission to Spokane, Washington before joining the Army. Jason has served in many church callings including young mens, sunday school and scouts. Jason is very popular among LDS youth and young adults who love his stories and point of view as he shares his testimony. Jason gives a compelling presentation about his spiritual journey which led to him writing The War Chapters Series. He offers thrilling and thoughtful insights into the lives of the main characters of the war chapters in the Book of Mormon including Captain Moroni, Teancum, and Captain Lehi. Audience members leave his presentation with a deeper understanding and appreciation for the war chapters and a desire to reread them. This presentation is ideal for a stake youth or young adult fireside. please email jason@thewarchapters.com or call 480-329-3269.